Our Board – Invest. Connect. Lead. Since moving to Kent in 2008 Brenda Farwell has helped establish the Thunderbird Community Sports Foundation as strong support for Youth Sports in our community giving over $825,000 in grants. Studied Business in College, owned and operated a landscape products/manufacturing company in Medicine Hat Alberta until moving to Washington in 1989 with her husband Russ. Brenda joined the Kent Community Foundation Board in 2011. Community advocate, volunteer and long time member of the Rotary Club of Kent. Kim has a vision to increase the annual number of scholarships and dollars awarded to Kent School District students. 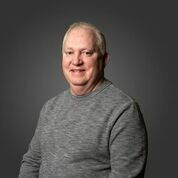 Born and raised in the Grays Harbor area, Lew and his wife Karen, daughter Tammy and son Bob, moved to Kent from Olympia in the mid-seventies. Both children attended Kent Schools and graduated from Kent Meridian High School. Lew retired from a 44 year career in Government Information Technology in 2006. He has served in a volunteer capacity as Director of Communications for Kent Valley Ice Centre and as President of the Kent Valley Hockey Association since 2006, and is a 39-year veteran Western Hockey League Off-Ice Official with the Seattle Thunderbirds Hockey Club. Lew served as an Off-Ice Official for the Hockey Venue at the 2010 Winter Olympics in Vancouver. Lew also serves as a board member on the City of Kent’s Public Facilities District (ShoWare Center), is a member of the City of Kent’s Financial Sustainability Task Force (2015/2016), is a member of the Thunderbirds Community Sports Foundation board of directors, serves on the Kent School District Civic Advisory Team and serves as a Citizen Advisor with the Kent Regional Fire Authority. 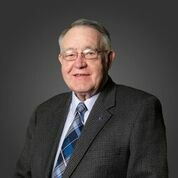 He joined the Kent Community Foundation Board in early 2009 and served several terms as Secretary, Vice President and President. Harry was born and raised in the Philadelphia area in Pennsylvania. He also resided in Grand Rapids Michigan prior to moving to Kent in 2003 with his wife Maria and two children (Jenna and Daniel). Harry worked for UPS for over 26 years and was the Controller / Director of Finance for Washington and Alaska prior to leaving in 2010. He owned a small business in Kent for five years prior to accepting his current position as the Controller for Lloyd Enterprises Inc. Harry graduated from Temple University with a degree in Accounting and has a Logistics Certificate from Penn State University. Harry is currently a volunteer coach with Kent Valley Hockey Association. Harry became a Kent Community Foundation Board Member in March 2015 and assumed the Treasure Position in January 2016. 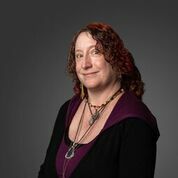 Susan M. Bagrationoff, owner and art educator of Artsy Fartsy Art Lessons, was born and raised in Florida where she resided for nearly 39 years before moving to Kent, WA in 2016. Susan taught in public schools for 11 years in both the Miami-Dade County School District as well as the Lee County School District where she educated children in Kindergarten, First Grade and Middle School Art. Upon moving to Kent, WA, Susan opened her art studio, Artsy Fartsy Art Lessons, and became an active member of the Third Thursday Art Night Committee. Susan is an Art Docent for East Hill Elementary School and also provides an after school art program, Artsy After School, to students at this school on Wednesdays. Susan was involved with her community in Florida where she would bring smiles to children’s faces for Make A Wish Foundation, Vital Flight and other related charities dressed as a pirate with the South Florida Pirates. In addition, Susan worked with VSA Florida to help bring art programs to special needs children at a Title 1 school in Naples, Florida. 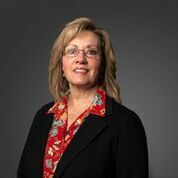 Susan joined the Kent Community Foundation as a board member in October 2017. Ronda Billerbeck is the Cultural Programs Manager for the City of Kent. In this capacity, she oversees the City’s Arts Commission and their activities, including an active performing arts program, several special community events, a variety of publications and the City’s Public Art Program and collection. 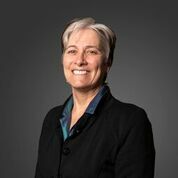 Ronda earned a masters in Not-for-Profit Leadership from Seattle University in 2000. She received her bachelor’s degree in communications from Oregon State University in 1994. 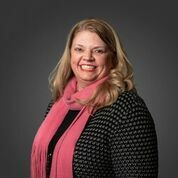 Ronda’s previous experience includes the coordination of special events and fundraising programs at the American Heart Association and Oregon State University. Mark is a graduate of the University of Puget Sound. Following graduation, he was a summer intern in the Cultural Programs Division of the Kent Parks Department. At the conclusion of the internship, Mark became the Aquatics Director at the Lakewood YMCA in Lakewood, WA and continued to volunteer at special events for the Kent Parks Department. In 1998, a fulltime position in the Cultural Programs Division became available and he has been there ever since. His primary role includes producing all of the special events for the City of Kent. 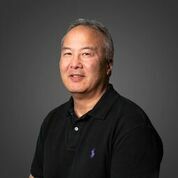 He serves on several boards including the Washington Festivals and Events Association, University of Puget Sound Logger Club and Kent Community Foundation. My name is Shamso Issak I am the Executive Director of Living Well Kent (LWK). LWK is community-driven collaborative focuses on creating a healthier, equitable and more sustainable City of Kent. I achieved Masters (M.A) Organizational Systems in Leadership Organizational development at Saybrook University Leadership Institute of Seattle (LIOS) program and Bachelor (B.A) degree in human resource at Evergreen State College in Tacoma Washington. Alongside my role as Executive Director by profession I am a non-profit consultant offers organizational development expertise and work with nonprofits in the areas of organizational development, as well as customized approaches that help build nonprofit capacity. As a consultant I provide leadership coaching to solve problems, develop plans for the future, and help navigate changes in their organization. My approach in organizational development (O.D) consultant is building a grassroots community based organization’s (CBO) capacity and provide backbone support to sustain and thrive to make forward progress. I support my clients with technical assistance (T.A) and create lasting partnerships that achieve business results. 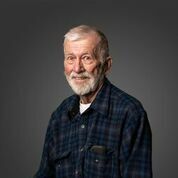 Jim was raised in Montana (with a fly rod in his hand) and graduated with an engineering degree from Montana State in 1960. He worked for Boeing for 35 years most of the time in the test business, retiring in1995. He originally joined the Foundation in the early 90’s as the Boeing representative. He re-joined the Foundation in the early 2000’s and has served as vice president, scholarship chair, and currently as president. He has been involved in several community and church leadership volunteer roles. His wife retired in 1996 as an elementary teacher in the Kent School District. Their sons both attended school in the District, graduating from Kent Meridian High. Roger has lived in Kent for the past 20+ years and grew up in neighboring Renton. He and his wife Lisa have two children that attend Kent schools. Roger has served on several Kent School District committees including the past two boundary committees and citizens budget review. He also has been the parent representative for the Panther Lake Elementary leadership team. He has been in the education market for the past 30 years providing IT programs for school districts across the nation. He is currently the Western Region VP for Graduation Alliance a company that helps school districts recover dropouts and get them on their way to earning a diploma or industry credentials that lead to living wage employment. Roger joined the Kent Community Foundation as board member in 2015. Lori grew up in the Kent area and has been a teacher, instructional coach, coordinator, and currently serves at the Career & Technical Education Director for the Kent School District. She has a Master’s Degree in Business Administration and a Bachelor’s Degree in Business Education. Born in Eugene, Oregon and raised in Kirkland and Redmond, Cathy graduated from Redmond High School and Washington State University. She lived with her family in the Kent/Covington area for over 22 years before moving to West Seattle in 2015. Cathy works as a full-time residential realtor since 2004 for Windermere Real Estate. Cathy enjoys being involved in the community by being an ambassador for the Covington Chamber of Commerce, volunteering at Habitat for Humanity and various PTA’s in the Kent School District. Cathy has been involved with Kent Community Foundation since 2007, currently serving on the board of directors. Born in Seattle, raised in King County and always glad when I return. I graduated from Highline High School in 1956, attended Central Washington University. In 1957, employed at the Boeing Company as a Corporate Secretary. Married at 19 and bore 3 beautiful children by 26. I was a happy stay-at-home mom until 1972 when I joined the Nordstrom community as a Visual Merchandising Manager. Winning numerous awards for window and interior design, I was invited to the Nordstrom Corporate world of new store openings where I supervised the buying and installation of fixtures for all new store openings. However, with 3 teenagers, I made a significant move within the company. I joined the Washington-Oregon Buying Team as fragrance buyer with a substantial budget and coordinated corporate events. I retired from Nordstrom in 1993 after 27 years!! (when fashion was still fun and Nordstrom was the “place to shop”). With years of merchandising experience, I was asked to join Giorgio of Beverly Hills, Fragrance Division as a fragrance representative covering Washington, Oregon and Idaho. Corporate traveling opened many doors for me, one…I recognized a huge desire to travel. Since, I have been fortunate to travel to Fiji, Soviet Union, Israel, the Holy City, Jordan, England, Ireland, Scotland, France, Belgium, Netherlands and Portugal between 1979 – 2000. I have loved every moment of discovery. In 2009, I was invited to submit a letter of employment to the Kent Chamber of Commerce and was hired immediately as their Administrative Assistant. I was an integral part of the team with varied responsibilities which included first impression of the chamber at front desk, interfaced with prospective members, Chamber staff, Board members, City staff and all functions of office procedures. I played a significant role in the success of all major corporate events for my success in providing sponsors. I left full time employment with the Chamber in 2015 but realized that I have more to give to my community. I am a 15 year member of the Rotary Club of Kent-Sunrise and a Board Member of the Kent Community Foundation. My passion is education with an emphasis on vocational opportunities for our KSD students that seek help finding their future. Now with ample time, I look forward to seeing our United States from shore to shore.